Ovens are a vital piece to any home’s kitchen, as they allow you to bake and warm your house all at once. Of course, seeing as it’s still summer and quite hot, many of us haven’t been doing too much baking of late. But if you are or when you do get back to using your oven, it’s not uncommon to find older models misbehaving and even appearing to break. Today’s post is dedicated to informing you about some potential issues that might be contributing to the appearance of an oven breaking. It might be the case that your oven hasn’t broken at all; it just might need an oven replacement part or a quick tune up, as it were. So before you run off and buy a new oven without thoroughly researching the issue, we recommend you take five minutes out of your day to read this post. It just might point you in the right direction so you can spend next to nothing when weighed against the pricey purchase of a brand new oven. Read on if saving that kind of money sounds good to you! 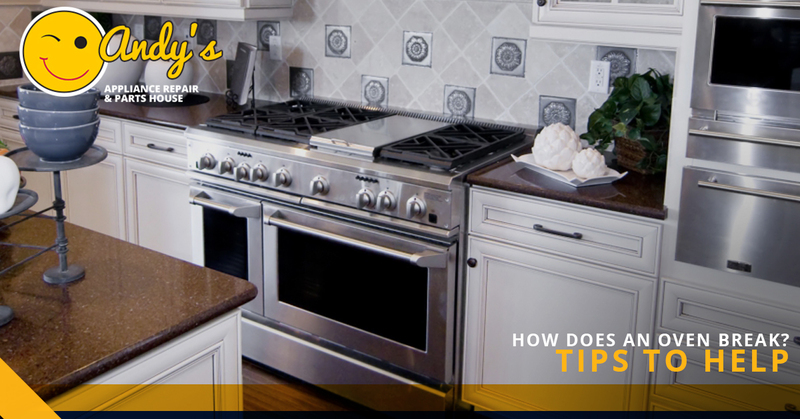 If, for example, you end up dropping something heavy on the heating element, odds are that oven repair is in order. Maybe you didn’t even drop something on it, but due to the fact that your oven is old, it might be more susceptible to scratches and breaks. Those can be caused by just using your oven for a while and fall under the general wear and tear category. If that is the issue, you might even need a replacement oven part to get it back and running again. While that might not be a free solution, it certainly beats paying thousands for a brand new oven when an oven part replacement will do the trick just fine. We should probably define what a heating element is before we go any further. Most ever electric oven has a minimum of two heating elements inside it. One is on the inside top and the other is on the bottom. Over time, these elements will wear down and become less effectual just from normal use. It should also be noted that just because a heating element isn’t heating, it doesn’t necessarily follow that it’s the heating element that is the issue. It might be the igniter. While we only recommend trying this if you have sufficient experience and knowledge in terms of being “handy”, one way to test this hypothesis is to see if there is electrical flow or continuity. All you need to do is to unscrew the screw which is securing the heating element, and pull it away from the terminals. Then you would need to use a multimeter to connect one probe to both sides of the terminal. Again, if you feel comfortable attempting this, good on you. But it’s probably a much better idea to leave this to our team of experienced technicians here at Andy’s Appliance Repair! A bit counter-intuitive, sometimes the heat from the oven itself will cause the glass door to explode. This is strange because we are talking about ovens – appliances which are designed to withstand high heat. But sometimes the pressure builds up to the extent that a glass door will break. Some say that scratching on the door can contribute to this happening, but we wouldn’t be comfortable claiming this is the cause 100 percent of the time. Regardless, should this happen to you, and we sincerely hope that it doesn’t, give us a call and we will be over to your place as soon as possible. Let’s say you are cooking a casserole, and in the baking process some of your food spills over and drips onto your heating element. That can cause the elements to bubble and blister up. That can cause a riff in the electrical continuity. If your oven is an older model, it is likely to be more vulnerable to this phenomenon. Unfortunately this likely means you will need to replace the heating elements in your oven. By the way, we can help you with oven replacement parts here at Andy’s Appliance Repair! So there you have it. Hopefully this information will help you save money in the short-term. Not having to full-on replace your oven is great news for most everybody, unless yours is so antiquated that it doesn’t bake food evenly anymore. If it can’t do its central function, it’s probably time to pull the plug on it. 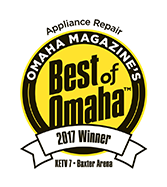 At any rate, Andy’s Appliance Repair has two appliance service centers, with one in Omaha and the other in Lincoln. However, our service area stretches far beyond those two cities. Among our many towns and rural areas that we provide appliance repair service to are the following areas. Many others in western Iowa and Eastern Nebraska! 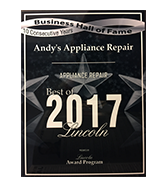 People choose Andy’s Appliance Repair because of our dedication to combining affordability with quality appliance repair service. All of our technicians are MATTC and M-CAP certified, which should tell you that any technician who steps foot in your home will be experienced and knowledgeable no matter the specifics. Our service vans are stocked with required parts so that we can get your oven, dishwasher, or other appliance up and running in a jiffy. 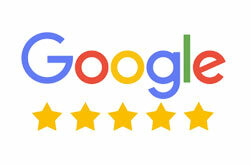 On top of that, we are a Certified Service Center, which means we are recognized as being a cut above in terms of our professionalism, quality of service, and attention to detail. All Certified appliance service centers must follow a rigid code of conduct, and that indicates our level of expertise within the appliance service field. Whether you are seeking oven repair service alone, or need working done on a number of kitchen appliances, Andy’s can get the job done. We are committed to being punctual and respectful when operating in your home or business. 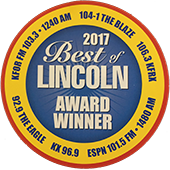 With nearly 50 years of experience, go with the guys who are locally owned and operated. We repair all major appliances, and offer online scheduling to make the process as easy as possible for our customers. Plain and simply, we’ve got you covered! We have stayed ahead of the game by being on the cutting edge of appliance repair technology, while still being dedicated to putting the customer first in every call we get. Reach out to us today if that sounds like a business you are interested in working with!